﻿For copies of the Powerpoint slideshow and other materials distributed at The Toronto Hakka Conference 2016, click HERE or the Reference tab. for current CBA photographs along with some membership feedback! 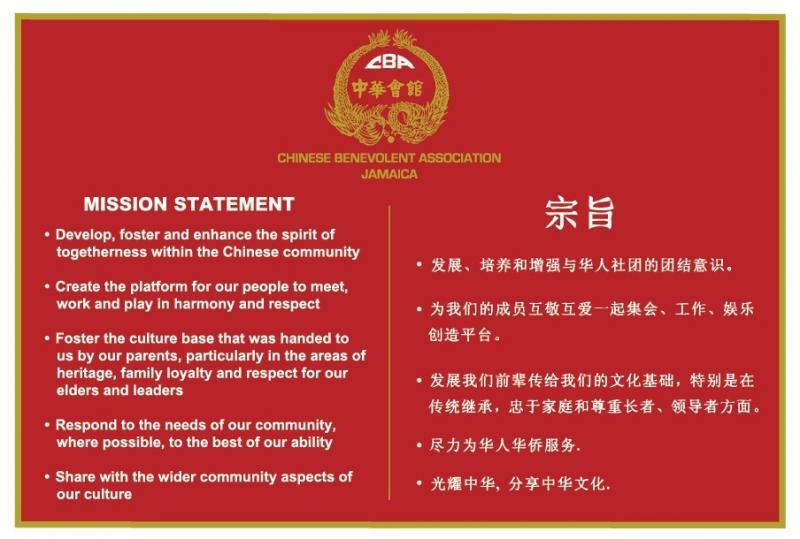 Following numerous requests for information on the Chinese Jamaican history, we are planning to expand the Reading Library at the CBA Centre to include books and publications on this important topic. We are asking for your assistance in acquiring relevant reading material on this subject matter. We welcome your recommendations or contribution of such books to the library, so that we may share the journey the first arrivals embarked on 160 years ago. In 1891, Chin Tung-Kao﻿ founded the Chinese Benevolent Society at 113 Barry Street in downtown Kingston. Its aims were to offer Humanitarian and Social Aid as well as preserve Chinese Customs and Ethnic Identity.